Liverpool welcomed Premier League action to Anfield and Brendan Rodgers will be delighted that his charges secured the three points against a “very good second half” Southampton. It was a game of 2 halves with Liverpool impressing in the first. Kopites thought it was business as usual when Sterling scored when a “sterling” through ball by Henderson created space between the left back and centre halves. Alas, the champagne football was a bit flat as Southampton sat back, a contrast to last seasons’ pressing game they played here. For a moment in time, it seemed Suarez never left. Lovren , who scored the winner here, was imperious in the air, and snuffed out any dangerous situations. He looks , on the face of it, a very good centre half, in the mould of Hyypia , or dare I say, Vidic ( sorry, but he was an excellent centre half). 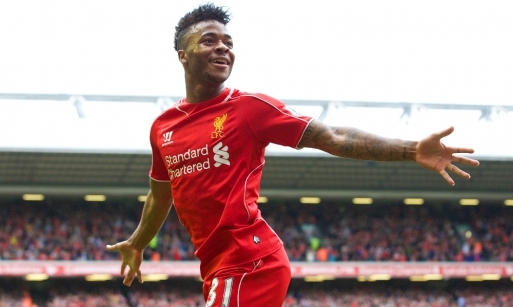 Here’s hoping he scores more than Carragher, the legend he was bought to replace, at the right end of course. Southampton grew in confidence as the half wore on, with ward-Prowse impressing and Schneiderlin pulling the strings in midfield also having a shot saved. Koeman would give his right arm to keep him, well, at arm’s length from Tottenham. As soon as the second half began, it became clear that Southampton would not grant as much time on the ball as they afforded in the first. they pressed, forcing the Reds’ midfield to hurry into passes and relinquish possession. Thus, it was no surprise when Clyne, the person semi culpable for the opening goal, linking up well with Tadic, whose back flick granted him acres of space in the penalty area, and unleashed a venomous shot into the roof of the net. Memories of last season came back, when we had to score 4 to guarantee victory, and no doubt , the defence seemed in a bit of bother. I almost had my heart in mouth when Davis was preparing to shoot, and all inside L4 and anyone supporting the Redmen heaved a sigh of relief when fluffed his chance and shot at Mignolet. 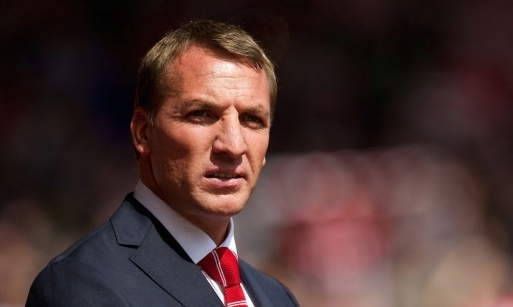 Rickie Lambert made his Anfield debut, coming on for Coutinho. Both set of fans gave him a warm reception. His link up play was good and his tackle to win the ball back was impressive. He really wants his second chance with his boyhood club to be a success. Sturridge scored, after good work from our captain , Stevie G, and Sterling, who headed the ball to sturridge who stroked home the ball from 3 yards out. 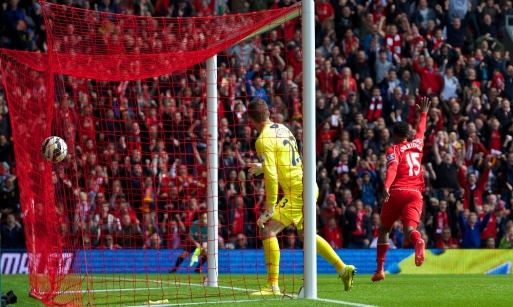 Saints then went for broke, with schneiderlin unleashing a tremendous volley only to see it deflected by mignolet. later Long headed the ball out of play when scoring would have been not that difficult. 1. Buy a striker : it has been said so many times that it has become redundant, but if we can get even 50% of the Mad Genius who departed for Catalonia, we can hope for a top 3 finish. Lavezzi , anyone? 2. After scoring, keep defensive shape, don’t defend deep. We unnecessarily played ball to and fro between the keeper and sweepers, inviting needless pressure. Powers such as Real Madrid won’t be as forgiving. To Etihad now, here all of the supporters hope that Linesman has perfect vision, or is wearing corrective glasses. 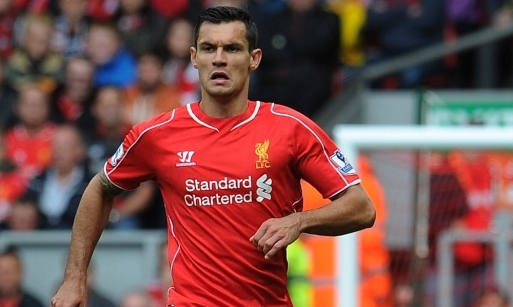 Man of the match : Lovren. For bringing back some authority to the back 4. If you have any opinions on my opinionated blog, please do provide them.